With Bumblebee getting praise from critics and fans alike, Paramount and Hasbro are both looking to continue the live action film franchise and not waste a minute. Lorenzo Di Bonaventura has provided us with the very first details for the next Transformers film. You can read the quotes he gave to Slash Film below, but the major take away is that the next film will be a BIG Transformers film rather than a smaller character based film, and while it will be going a different direction than where the Michael Bay movies left us (i.e. probably no Unicron), it will not be a full on reboot. The fact that we get both appearances of Simmons and Bumblebee's Camaro mode in the Bumblebee movie is proof enough that what came before will not be fully ignored going forward, but the goal is still to give fans something new. Take that as you will. Oh and Lorenzo also states clearly why he is not a fan of Unicron (which may give us a hint as to why the only live action TF film to have Unicron was the worst in the series so far). So... Is Transformers 6 gonna happen now? Are we gonna get it? Or is this a new Transformers film all together? They already did put Unicron in these movies, he was in The Last Knight. Why's he acting like they haven't? Sabrblade wrote: They already did put Unicron in these movies, he was in The Last Knight. Why's he acting like they haven't? He was probably trying to forget it. Motto: "It's unnerving and insulting when people in a toy-based fandom, whatever it is, make statements to the effect that general consumers and fans of lesser financial means should be deprived entirely of the ability to partake of the primary market." So, Bonventura is going to repeat the annoying thing Age of Extinction did by not following up on the previous movie's big dangling question/plot hook (Cybertron's fate in the case of AoE, Quintessa's scheming and the rise of Unicron in the case of this). And we probably still won't get an answer about Sam's fate. The movieverse is now back in the doghouse for me and may well be dead to me. Unicron worked in 1986, he worked in Beast Wars Neo, he worked in what is for good reason called the Unicron Trilogy, he worked in Prime, he worked in IDW. "“I’m not a fan of Unicron. It’s too big. It’s so big it’s beyond any sort of relatable thing I think, for me personally." he says? Unicron isn't supposed to be relatable! He's supposed to be an enormous, looming, cosmic-scale menace! A threat to end all threats, the end of days personified, that sort of thing! And the MCU has recently employed that sort of villain very successfully. If you're reading this Mr. Bonaventura, then a reboot is either starting the story over from scratch (a true reboot) or at minimum throwing out prior story material in the continuity and telling the further story as if those events never happened, going in a different direction. Sometimes this is good (the reboot of the Star Wars Expanded Universe), sometimes not so much. And if you don't like Unicron? Too bad. He's the hand you were dealt. You want to improve this franchise, you won't do it by making continuity worse. What will improve this franchise is exposition that harmonizes the established narratives and worldbuilding, and bringing in the long-missing element of Autobots providing disaster relief. "It’s so big it’s beyond any sort of relatable thing I think, for me personally." "Unicron's too big for our Hollywood human stars to interact with in a way that would satisfyingly enable them play a pivotal role in his defeat." This guy can't even remember what he's put in his own movies. Which is understandable, the Bayformers films from the second one forward were all such a mess, full of contradictions. Hopefully, they'll use this new Bee movie as the springboard and kind of forget about everything Bayformers. Not a reboot eh? Can we call it a soft reboot then? After the last few flicks, I'd be inclined to call it a comeback. Oh, sorry, guess I won't. ZeldaTheSwordsman wrote: So, Bonventura is going to repeat the annoying thing Age of Extinction did by not following up on the previous movie's big dangling question/plot hook (Cybertron's fate in the case of AoE, Quintessa's scheming and the rise of Unicron in the case of this). And we probably still won't get an answer about Sam's fate. The movieverse is now back in the doghouse for me and may well be dead to me. Unicron worked in 1986, he worked in Beast Wars Neo, he worked in what is for good reason called the Unicron Trilogy, he worked in Prime, he worked in IDW. "“I’m not a fan of Unicron. It’s too big. It’s so big it’s beyond any sort of relatable thing I think, for me personally." he says? Unicron isn't supposed to be relatable! He's supposed to be an enormous, looming, cosmic-scale menace! A threat to end all threats, the end of days personified, that sort of thing! And the MCU has recently employed that sort of villain very successfully. Dude, they couldn't even decide if cold hurts Transformers or not in the first film. They don't have stories. They have action set pieces loosely tied together with crude, fratboy humor and annoying characters who scream and sweat all the time. So yeah, they're going to pick up those plot threads because the makers of those films didn't worry if there was a plot or not. Bay's films were aggressively stupid. Sabrblade wrote: "It’s so big it’s beyond any sort of relatable thing I think, for me personally." Well, the same could be said about Thanos, but we're getting Avengers 4. There is two ways around this problem- One, don't include human characters. This is something that I feel is undesirable, as a good human character allows us to connect to the world that the writers build. Two- Be clever with your writing. Marvel Comics Transformers proved that their human characters could be helpful when dealing with Unicron. True, they were superhuman, but they were still relatable enough for the audience to connect with them. I feel if you're going to put Unicron in the story, build up to him. I once again point to the MCU's Thanos. It took 10 years and over 20 movies worth of buildup to get to the Snap. And while Transformers doesn't nearly have the clout (as of now) to pull something like that off, they could layer his buildup over the course of several small, more contained stories. P.S. : I realize that Sabrblade's comment was probably just a snarky thing, I just wanted to point out how it could be possible to dodge that particular reasoning. Although I completely understand what he's saying here, I don't agree with all of it. 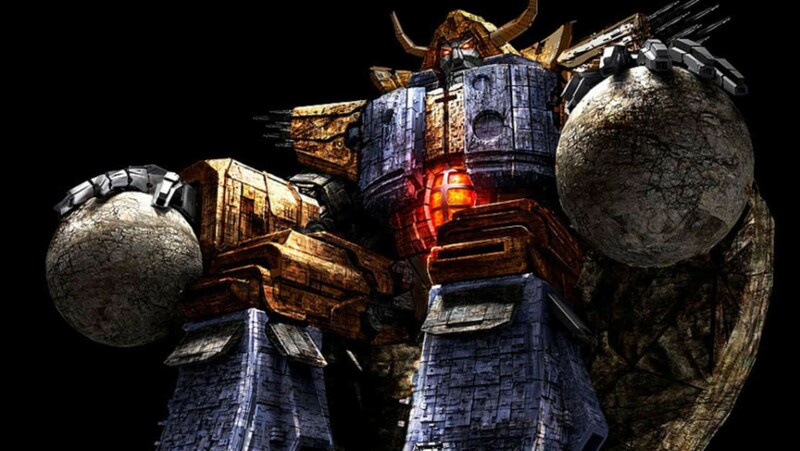 What I agree with: Unicron is too big of a bite for Paramount to chew right now. He is, simply, too big. Period. However you take that. in mass, in relatability, in every aspect. Literally what everyone is praising the Bumblebee movie for is the simplicity and "small" scale that it provides and offers. Which is something different from any past Transformers films. For Paramount to get all excited at this movie's critical success and jump head-on into the next large scale Transformers movie with Unicron and all the works is literally recycling the same mistakes of the past. Yes, Avengers properly executed an all-powerful villian who can end worlds and has such a large "scale" of a character, but that was after first building 18 [well made, well written and thoughtfully told] films to lead up to it after over 10 years. The Transformers franchise DOES NOT have that, love them or hate them. This is Paramount's chance to slowly move on from the mistakes that the most recent Transformers films have been in order to start small and move their way up. Don't get Unicron involved. Don't get the Quintessons invlolved. Don't overcomplicate things. We've covered Bumblebee, and begun cleaning the slate of the Transformers franchise from there. Now take it slow, but keep the pace accordingly. Make an Orion Pax origin movie, a War on Cybertron movie, and begin telling the stories that Transformers fans always wanted. Stories that the world would love transformers for. And after we get a solid basis of Transformers, lead up to give us our grand finale of Unicron. Make him the ultimate antagonist. 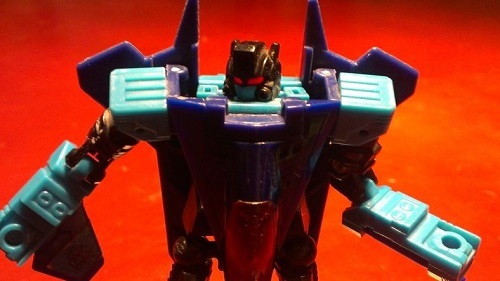 He IS the ultimate villain of the Transformers Universe, so treat him as such. If Thanos was Iron Man's second or third villian in 2010, nobody would have cared. It wouldn't have made sense. The value of his character exists mostly in the climax, time, and effort put into leading up to him. What I do not agree with: I'm not sure what the deal is with movie producers and representatives being so vague and discomforting with the information they provide about these movies. Especially the Transformers movies. I'm not sure what it is, but something about how he says all of this makes me very nervous for the future of Transformers, despite the success of Bumblebee. The things he's saying, the way he's saying it, feels like they can't just admit their mistakes of the past and move on from it. He very well knows what a reboot is, why it would be important in this case, or what it means to not reboot it. Playing dumb doesn't do anybody any good, and makes them look like the only reason they "happened" to get this movie right is because of Travis Knight as their director. He's playing word games, and it gets very frustrating after 10 years of them doing this. I'm just incredibly grateful that Travis Knight is at the head of these movies now, and their biggest mistake would be trying to find someone else for the future films. In that Unicron picture, we finally see Unicron's big balls! Well, the same could be said about Thanos, but we're getting Avengers 4. Yeah, but, Thanos is, like, somewhere between the sizes of Thor and the Hulk, not planet-sized. jtanimator wrote: Although I completely understand what he's saying here, I don't agree with all of it. It's worth pointing out that Travis Knight is going back to laika studios, he's just remaining involved at the same level Michael Bay is and Spielberg is, as an executive producer. Rumours are they are looking elsewhere for directors. ZeldaTheSwordsman wrote: You want to improve this franchise, you won't do it by making continuity worse. What will improve this franchise is exposition that harmonizes the established narratives and worldbuilding, and bringing in the long-missing element of Autobots providing disaster relief. I really dont think it matters. The transformers films have been rewriting themselves for the convenience of every new release. We are waaaay past the point of repairing continuity. Also,I dont think anyone really cares. Bumblebee has truly wrecked any continuity there may have been and yet stays within Bayverse and its the most loved film since the first one. In the end, if they give us a good flm, where we enjoy ourselves while watching it, then I think thats fine. Its already asking a lot for this franchise. Last edited by dragons on Tue Dec 11, 2018 12:15 pm, edited 2 times in total. Summed up perfectly, mans always gotta be the hero to find it relatable! That's why Transformers movies need people in them! Yep, and that's why people won't be able to relate to Disney's upcoming Lion King remake, guaranteeing that movie to utterly bomb for sure. Last edited by carytheone on Tue Dec 11, 2018 12:24 pm, edited 1 time in total. I found the recent Apes films to be a great example of how we can have a CG non human character as the star and have some humans as supporting cast. I think most would consider putting in actual human characters alongside the animal characters to be a cardinal sin for The Lion King. Fantastic Four Rise of the Silver Surfer is the example of what not to do. Everyone called fox out for the treatment Galactus got then and I think we'll see a more traditional take when marvel tackle him. Plus, Unicron gets recycled far too much. Oh, here's Unicron again. Why am I supposed to care? Because he's the guy from the animated film who blew up? 4,378 pages were recently viewed by 705 unique visitors. This page was viewed 1 times on Friday, April 19th 2019 7:28am CDT. © 2019 Seibertron, Inc. DBA Seibertron.com. All Rights Reserved. Established June 2000. Seibertron.com is owned by Ryan Yzquierdo.